Unwed mother gives up baby for adoption and hopes to get it back when the adoptive mother dies. 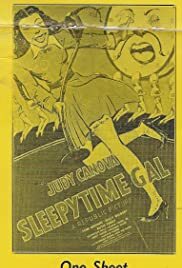 The Early Show on NY's Channel 2 used to air this breezy, delightful musical comedy from the woefully underrated Republic Studios during the 1950s when I was a kid. I tuned in every time it was telecast. Judy Canova deserves to be re-discovered and re-appreciated. She was truly a precursor of Lily Tomlin (her "Sleepy Lagoon" with Dennis Day is another tuneful delight). And the vivacious Ruth Terry, in a platinum wig as the gangster's moll, pre-dated Lesley Ann Warren's delectable turn in "Victor/Victoria". The details of the plot elude me, but I cherish the film. With a wonderful score by the young, then-unknown Jule Styne. Would someone please rescue and revive this delightful gem from obscurity and let the current generation savor its charms?